You'll be £0.99 closer to your next £10.00 credit when you purchase No Mercy from the Japanese. What's this? By the laws of statistics John Wyatt should not be here today to tell his story. He firmly believes that someone somewhere was looking after him during those four years. Examine the odds stacked against him and his readers will understand why he hold this view. During the conflict in Malaya and Singapore his regiment lost two thirds of its men. More than three hundred patients and staff in the Alexandra Military Hospital were slaughtered by the Japanese - he was one of the few survivors still alive today. 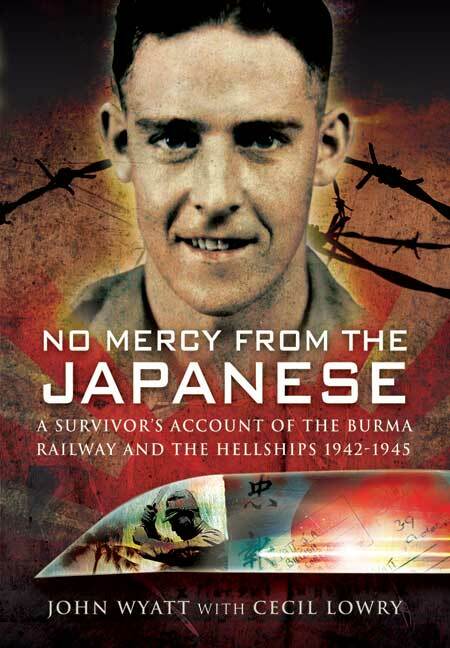 Twenty six percent of British soldiers slaving on the Burma Railway died. More than fifty men out of around six hundred died aboard the Asaka Maru and the Hakasan Maru. Many more did not manage to survive the harshest Japanese winter of 1944/45, the coldest in Japan since record began. John's experiences make for the most compelling and graphic reading. The courage, endurance and resilience of men like him never ceases to amaze.